PRECISION is designed to help you draw it - it's a synthetic imitation sable brush for all those artists who are looking for an ultra-precise brush. It is the most accurate brush in its category, offering all the qualities of sable together with excellent value for money. The PRECISION brush will be particulary popular with artists because of its shape retention memory, the fineness ot its tip, along with its vigour and suppleness. This new fibre, selected by us to imitate the qualities of sable, is thin and nervous at the same time which gives to the PRECISION brush a good response on the painting medium. The application is very easy and smooth, the brush has a very good memory of form for a work in precision. This sable imitation fibre is available in two ranges : PRECISION Acrylic & Oil and PRECISION Watercolor. 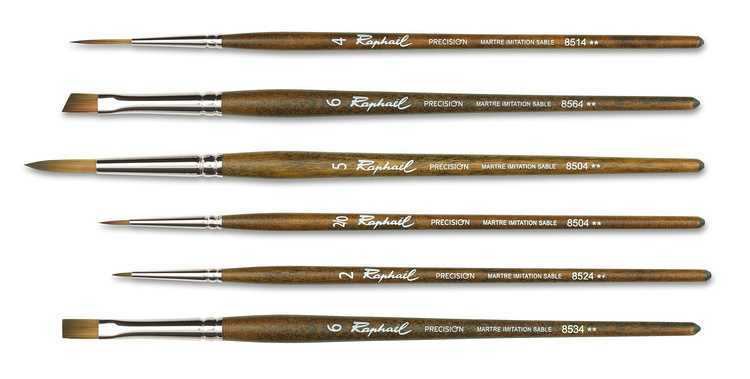 PRECISION brushes are available with short handles for Watercolour, Gouache, Tempera and ink. 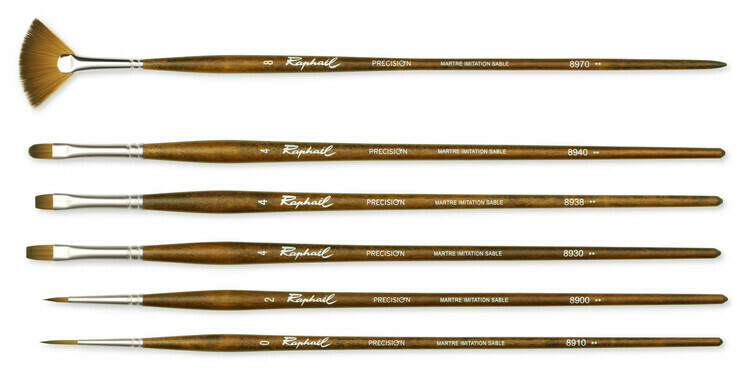 PRECISION brushes are available with long handle for Acrylic and Oil painting.